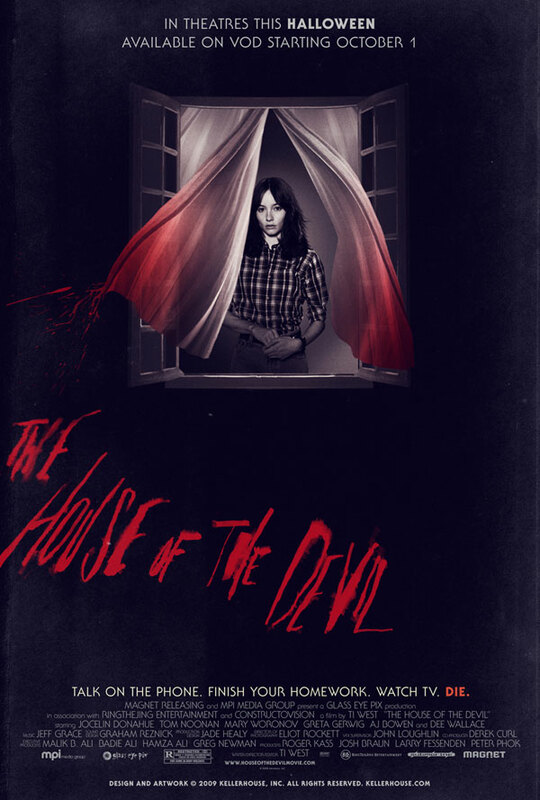 On first viewing The House of the Devil, I thought it was wonderfully retro and one of the best of the recent horror films. After multiple viewings, I’ve decided that this is one of the best horror movies ever made. It just has everything that makes the horror genre wonderful. House of the Devil is not just a nostalgia piece for director Ti West, one of the best horror directors working today, this is how horror movies SHOULD be made. The film deterioration and cinematography take this already great premise to a whole new level. Extra long takes are intercut so perfectly that you literally lose yourself in the picture. The acting also ties in very well to the very realistic yet surreal backdrop. These college girls actually talk and feel like college girls. They don’t have monologues prepared and “witty” banter that can last for twenty minutes straight. The whole creepy factor lies in the family, who are just way to volatile and bizarre. However, the chill factor lives in the real world, making it even more effective. I think this brings up a very good point about babysitters that was never really touched on in the 80s or even today. Sure, Halloween made people realize that suburbia isn’t as safe as it pretends to be, but this makes it scary to trust anyone. I just can’t give Ti West more praise for doing what he’s done here. Clearly he knows the genre inside and out. Every aspect of film making is flawless. I can’t wait to see what Ti West comes up with next.